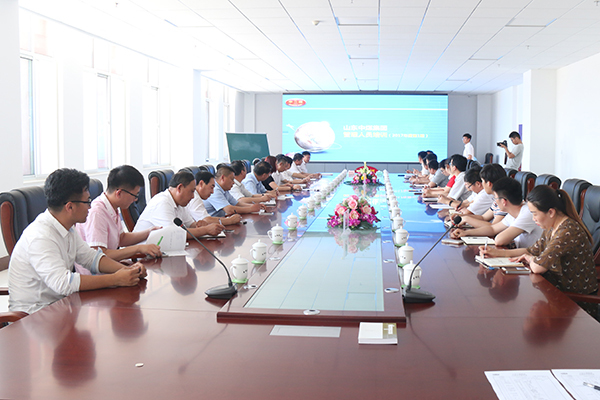 In order to further improve the overall quality of cadres, enhance the comprehensive management ability, innovation ability and implement ability, on the afternoon of May 27, 2017 Annual First China Transport Group Senior Management Training Courses organized by Jining City Industrial and Commercial Vocational Training School was grand opened at conference room on the second floor of Shandong Coal Group Industrial Park E-commerce Technology Industry Building, Group leadership team, and leading cadres of branch companies and functional departments attended the training. The training course was hosted by Senior Lecturer Zhai Hongru of Jining City Industrial and Information Commercial Vocational Training School, contents including four aspects of training purposes, management responsibility, management executive, business etiquette, Senior Lecturer Zhai taught through lectures, video, examples and other forms, so that everyone learned how to improve the management of the executive power, how to better enhance the sense of responsibility of managers and notes of business etiquette in a relaxed atmosphere, the entire course content is rich, professional and operational, trainees all expressed that got a lot of benefit. Jining City Industrial and Information Commercial Vocational Training School was invested and established by China Transport Group, recruit students towards nation, is the only one e-commerce personnel training institutions that awarded the "School Permit of People's Republic of Private Schools" of Jining City High-tech Zone Labor and Personnel Security Department, approved by Jining Civil Affairs Bureau, and also the only one training service school that focus on e-commerce application-oriented personnel in Jining City. At present, the school teaching area of 10,000 square meters, set up 10 training classrooms, 8 practical rooms, 6 active rooms, 5 multi-functional conference rooms, 300 PCs, 30 full-time training teachers, can training 300 people each time, annual training to reach 2,000 people, mainly set up training courses of e-commerce, logistics, international trade, software information, electronic information engineering, business management and other areas of vocational skills. Since the establishment, Jining City Industrial and Information Commercial Vocational Training School actively responded to the national advocacy of the Internet + concept, call of public entrepreneurship, innovation, relying on China Transport Group's strong strength and rich experiences in enterprise personnel training, integration of national more than 300 combat mentors in e-commerce business field, summed up the actual combat experience, system development tutorial, whole practice guide, regularly hired professors from Tsinghua University and Professor Peking University, experts of China Electronic Commerce Association, well-known lecturers of Baidu, Google, Alibaba and domestic large and medium-sized enterprises to teach in person. 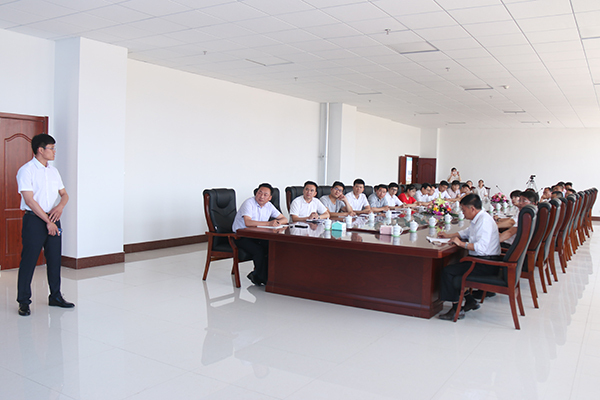 At present, Jining City Industrial and Information Commercial Vocational Training School has been successfully held training courses including e-commerce, cross-border e-commerce, corporate cadre management and other training, received warm welcome by the community, good social response. In the next step, we will strictly abide by the relevant provisions of the national private vocational training, to strengthen the teaching management, to ensure the quality of training, honest and trustworthy, standardized school, with five advantages of diversified professional, experienced teachers, standard teaching environment, flexible training mode and high quality service, relying on strong e-commerce comprehensive strength of China Transport Group, to build Jining City Industrial and Information Commercial Vocational Training School the largest e-commerce personnel training school in Shandong Province with the set of researching, teaching, training, transportation and services!